Shelled-out Commands In Golang | I care, I share, I'm Nathan LeClaire. In a perfect world we would have beautifully designed APIs and bindings for everything that we could possibly desire and that includes things which we might want to invoke the shell to do (e.g. 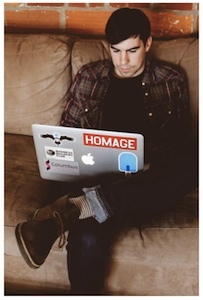 run imagemagick commands, invoke git, invoke docker etc.). But especially with burgeoning languages such as Go, it’s not as likely that such a module exists (or that it’s easy to use, robust, well-tested, etc.) as it is with a more mature language such as Python. So, we might become shellouts. 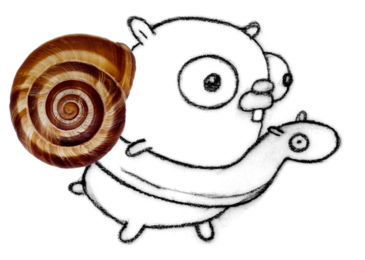 Go allows you to invoke commands directly from the language using some primitives defined in the os/exec package. It’s not as easy as it can be in, say, Ruby where you just backtick the command and read the output into a variable, but it’s not too bad. The basic usage is through the Cmd struct and you can invoke commands and do a variety of things with their results. Cool, running shell commands in Go isn’t too bad. But what if we want to get the output, to display it or parse some information out of it? We can use Cmd struct’s Output method to get a byte slice. This is trivially convertible to a string if that is what you’re after, too. Now show me something really cool. OK, let’s look at an example of streaming the output of a command line-by-line for transformation. There are a variety of reasons why you might want to do this. You may want to append some logging output on the front of the line, which is the use case I will demonstrate here. You may want to apply some sort of transformation on the output as it is coming in. You may simply want to parse out the bits you are interested in and discard the rest, and it’s just a more natural fit to do so line-by-line instead of in one big string or byte slice. Or, you may want to just see the output of a long-running command as it comes in. OK, how about writing an agnostic function to execute shell commands on a remote computer? With ssh and Cmd you can do it. We could make a simple struct called SSHCommander where you pass user and server IP. Then you invoke Command to run commands over SSH! If your keys are in alignment, it will work. // am I doing this automation thing right? I stole this idea from the work we’ve been doing lately on Docker machine. Good times. I’m glad you asked. There are a few notable downsides. One, it’s pretty hacky and inelegant to do this. Ideally one would have clearly defined APIs or bindings to use that would mitigate the need to shell out commands. Maintaining code which shells out commands will be a maintainability headache (commands often fail in opaque ways) and will be harder to grok for newcomers to the codebase (or yourself after a break) due to its lack of concision and clarity. It definitely breaks cross-platform compatibility and repeatability. If the user doesn’t have the program you’re expecting, or doesn’t have it named correctly, etc., you’re hosed. Additionally, it won’t end well to make assumptions that this program will be run in a UNIX shell if you eventually want a cross-platform Go binary: so be careful about pipes and the like. However, it’s pretty fun when it works. So just be prepared to accept the consequences if you do it. That’s all: have fun doing shelly things in Go-land everyone. And until next time, stay sassy Internet.